Welcome to Butterflies of Massachusetts! This website offers a comprehensive review of the status of butterflies in the state. It is designed for everyone interested in these beautiful creatures, including butterfly enthusiasts, conservationists, biologists, land managers, and wildlife professionals. NEWS FLASH --2/2015 -- The complete content of the Butterflies of Massachusetts website is now available for purchase in print and cd formats! See below for details. Species Accounts cover most butterfly species normally occurring in the state. Click here to choose a Species. Each account includes (1) History and Abundance in the 1800s and 1900s; (2) Host Plants and Habitat; (3) Relative Abundance Today; (4) State Distribution and Locations, including Maps of sightings by town; (5) Broods and Flight Periods in Massachusetts 1991-2013, including earliest and latest sightings and flight time advancement; and (6) Conservation Outlook, including the probable impact of climate warming. Species of Conservation Concern This analysis indicates that twenty-eight butterfly species, almost a quarter of the state's butterfly species, warrant conservation concern.. Only eight of these are currently protected under the Massachusetts Endangered Species Act. Sources and Methods This section briefly reviews the history of butterfly study in the state and explains the data sources and procedures used in this study. Historical accounts are based on a review of Massachusetts specimens in the Harvard Museum of Comparative Zoology and other major museums, plus various private collections and extensive published sources (published literature cited may be found here). Contemporary abundance, distribution and flight time results are based on 23 years of high-quality citizen science data: the 1991-2013 observational and photographic records kept by the Massachusetts Butterfly Club (MBC) and Butterflies of Massachusetts (BOM). Included are over 100,000 vetted reports from the 'masslep' listserve, the BAMONA website, the season summaries of The Lepidopterists' Society, and private reports sent to BOM. Data from the Massachusetts Audubon Society's important 1986-90 Butterfly Atlas is included; use of their database is gratefully acknowledged. The Methods section includes Table 4: MBC Trip Reports and Records Totals, and Table 5: MAS Butterfly Atlas-MBC Relative Abundance Comparisons. Butterfly History and Future Dramatic changes in the New England landscape over time have meant changes in butterfly habitats. The Ice Age, postglacial warming, the expansion of agriculture 1600-1850, and subsequent urban and suburban growth have all been accompanied by changes in butterfly species composition. The earliest Massachusetts lepidopterists, Thaddeus W. Harris (1795-1856) and Samuel H. Scudder (1837-1911) were describing a butterfly community at the height of agricultural development in the state, with likely more species than in the pre-agricultural era. The broad changes in butterfly abundance and life history over time are summarized in the species accounts and in four tables: Table 1: Butterflies which may have Increased or Decreased 1650 - 1850 as a result of agricultural and other development. Table 2: Butterflies which may have Decreased 1900-2000 due to loss of open habitat, or Increased due to immigration, adaptation to new host plants, or re-growth of early successional habitat. Table 3: Switchers: Butterflies known to have adapted to a non-native host plant in addition to, or instead of, their original native host. Approximately a quarter of our butterflies are now dependent on non-native larval host plants. Table 6: Species likely to increase or decrease in Massachusetts as a result of climate warming. Massachusetts is currently experiencing range contractions in northern-based species and range expansions in southern-based species. Today, our land conservation and management efforts need be more targeted toward monitoring and conserving uncommon and at risk butterfly species. Among the greatest risks is climate change, which is already affecting our butterfly fauna. 1. A handsome paperbound book, The Butterflies of Massachusetts: their history and future is now available from Amazon.com and other book retailers, for approximately $58. This full color, 8.5 x 11, 488 page reference volume will be a wonderful addition to your bookshelf or coffee table. Butterflies of Massachusetts, 108 Walden St., Cambridge, MA 02140. Allow at least 3 weeks for delivery. This website will not be available forever! We urge you to order your permanent copy today. 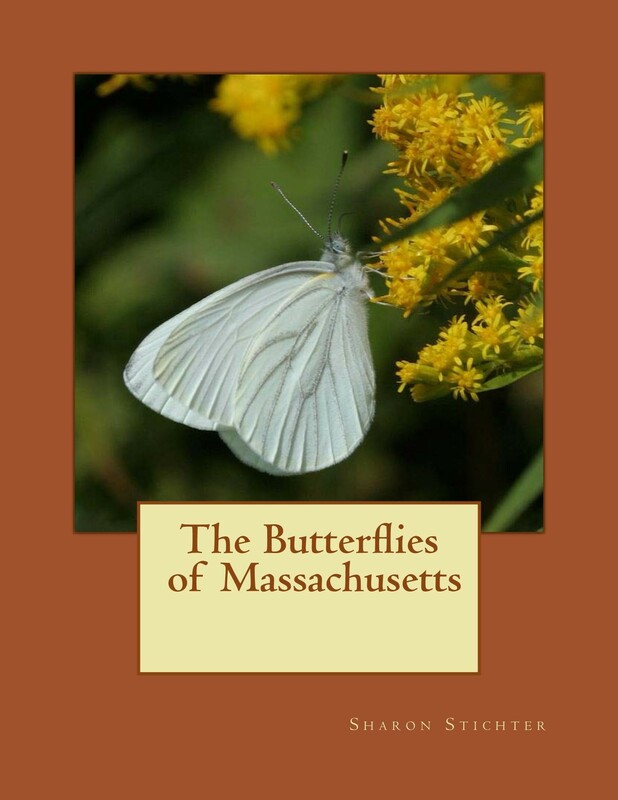 Butterflies of Massachusetts is written by Sharon Stichter, Ph.D., with the assistance of Lynette Leka (data analysis), Erik Nielsen (records and analysis), and Joe Teixeira (maps). For information contact sharonstichter2@comcast.net . The Butterflies of Massachusetts is produced in cooperation with the Massachusetts Butterfly Club, http://www.massbutterflies.org , a chapter of the North American Butterfly Association. Butterflies of Massachusetts extends grateful thanks to the Massachusetts Butterfly Club for the use of its database and for support and encouragement over the years. Banner photo: Bog Coppers at Tully Dam, Royalston, Massachusetts. Sue Cloutier 6-25-2010. Used with permission.